Apple has launched several new desktop and laptop computers at WWDC. The new Apple iMac Pro, claimed to be the most powerful Mac ever, was probably the star of the show. It is, of course, an AiO and it is based around a chassis holding a 27-inch Retina 5K display. What really makes it stand out, however, is the computing power that Apple has stuffed in this slim AiO chassis - "up to 18-Core Processors, 22 Teraflops of GPU Performance, Fast Storage and Advanced I/O". Under the hood the iMac Pro will be supplied with a choice of Intel Xeon (Skylake) processors. These will provide up to 18 cores, says Apple. Other Xeons with 8- and 10-cores will be configurable. For graphics acceleration Apple is equipping the new Radeon Pro Vega GPU, claimed to be "the most advanced graphics ever in a Mac". 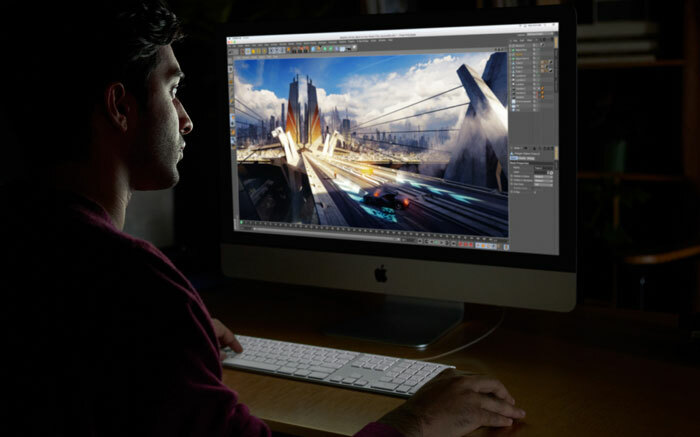 With AMD's next-generation compute cores and up to 16GB of HBM2 the iMac Pro with Vega GPU delivers up to 11 Teraflops of single-precision compute power for real-time 3D rendering and immersive, high frame rate VR. Those dabbling in Machine Learning can take advantage of the Vega GPU's 22 Teraflops of half-precision computation power. Readers might be worried about the workstation components cramped into an iMac frame but Apple says it has got you covered. It has designed an "innovative thermal architecture that gives iMac Pro 80 per cent more cooling capacity," so you can enjoy the extreme performance in a slim iMac design. The iMac Pro supports the CPU and GPU processing power with other choice components. Within its slim frame it can support up to 4TB of SSD and up to 128GB of ECC memory, and with four Thunderbolt 3 ports can connect to up to two high-performance RAID arrays and two 5K displays at the same time. 10Gb Ethernet is on board. The new iMac Pro will start to ship from December, priced from $4,999 and up. The base configuration will pack an 8-core Xeon, an unspecified Vega GPU, 32GB of RAM, and a 1TB SSD. Apple has updated its iMacs with faster Kaby Lake processors and support for twice the RAM of previous generation iMacs. Looking at GPU options, there are more powerful options throughout the range with new AMD Radeon 500 series GPUs with up to 8GB of GDDR5. Fusion Drive hybrid storage is standard on all 27-inch models, and the top 21.5-inch model. Furthermore Apple says the SSD storage options now offer up to 50 per cent faster transfers. All the new iMacs come with Thunderbolt 3 ports. 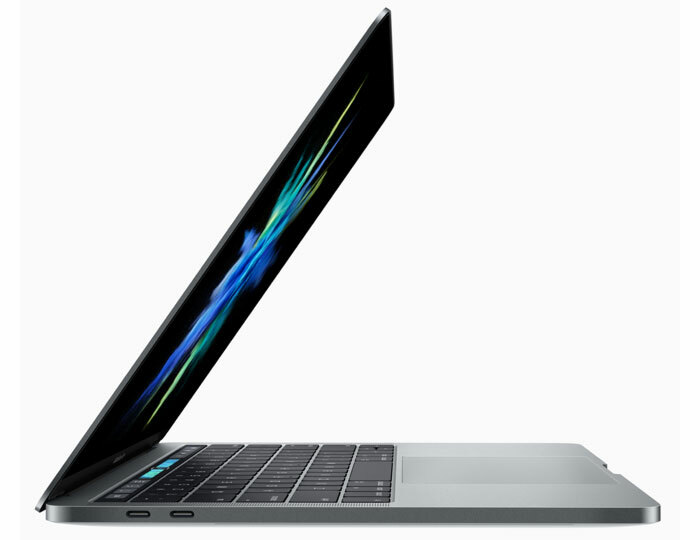 Likewise, Apple has updated its MacBook, MacBook Pro and MacBook Air laptops with Kaby Lake processors for faster processing and extended battery life. Some of the laptops have discrete graphics options. Apple's updated iMac and MacBook computers are available immediately online and in stores from tomorrow. Apple File System (APFS) with enhanced performance, security and reliability of data. High Sierra is currently in developer preview but a public preview will arrive in late June. When it's ready it will be distributed as a free update to compatible Macs from the Mac App Store.